As mentioned previously, I currently developing an Airtable base to track student data and other teaching resource inventory. The children create year group databases. All of which work very well. I haven't encountered any issues or unsuitability thus far. 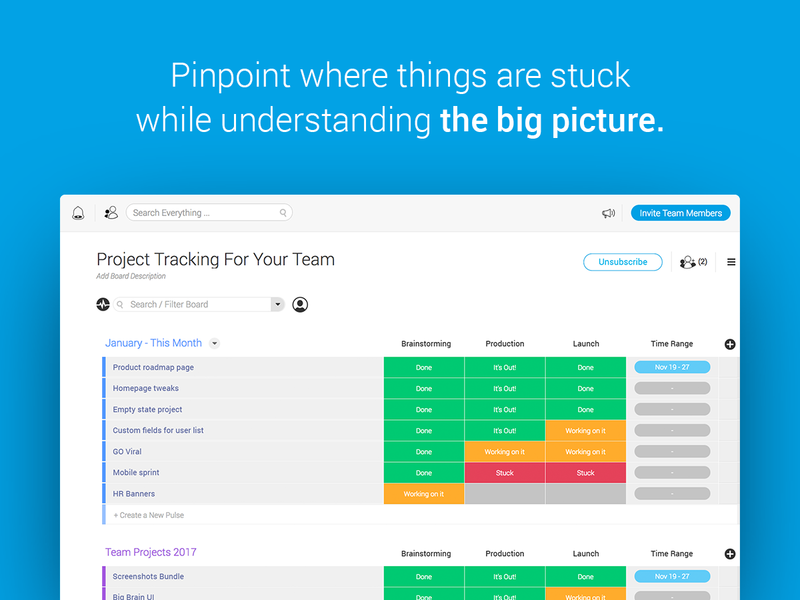 The colors and tagging capabilities to assign projects and workflow is perfect for managing a multitude of projects with many people involved. You essentially set up your own steps along the way and create checkpoints for people to log and check into. They can leave notes, provide feedback, set statuses of steps such as DONE/IN PROGRESS/NOT READY/WAITING FOR REVIEW/, etc. Being able to see how the workflow has progressed makes it super easy to manage the project from a high level. At any time you can alter the workflow by adding or subtracting steps as well. The email tie in is nice to for people who don't LIVE in the system. usable across multiple platforms and devices--desktops, laptops, iphones. Ability to connect files and threads to specific tasks. Updates on email once something happens with our team board (although this can be annoying when you are engaged in a lot of different tasks). Quick knowledge of who is in charge of what. Simple creation and delegation of tasks (move to done etc.). I can't actually think of any road blocks or insufficiencies yet! There is only one con I can come to think of, and that is the mobile app. This has been bugging me for quite some time, and it gives the user the feel of being on a web app solution rather than a native app. The mobile push notifications should be prioritized instead of the notification emails. It solves all our needs the exact way we imagined it. coming across monday gave us the feeling that we designed the program ourselves to work for the use cases we had in mind. If you have a basic understanding of the terms and exist in a project management field it will be very intuitive and easy for you to pick it up and begin setting up workflows and tasks. Someone who doesn't have familiarity with how to plan a project may be confused on how it is intended to be setup. We signed up for the accounts. Created the accounts. Ran the trial version and tested it live while we were running multiple projects and found that it was fitting our needs perfectly. When the trial ended and we were asked to purchase the full version, we did. We have found other ways to use it and it's a breeze. I have mostly set up and helped architect custom database solutions in a proprietary software, as compares directly to Airtable. I have set up and used JIRA Software extensively, and several Marketing Automation systems, and set up Oncontact CRM, and used DAM systems, and Basecamp project management. All in all setting up databases and introducing them to organizations is one of my primary skills and I have several years experience doing this within an organization and as a consultant for other organizations. This is why I love Airtable so much - I have never seen something so lightweight, so inexpensive, and so powerful. Pound for pound it whips any system I have ever used. When I think back to all the custom database solutions I've implemented, and other processes I've managed and consulted on within organizations, I can't help but wonder how many of them would have vastly better off with a simple Airtable implementation. I feel monday is more intuitive and easy to use compared to the others. Otherwise they pretty much do the same function. Assignments are significantly less liable to be overlooked. It causes us to consider each other responsible. I exceptionally prescribe it for groups that need to complete things. If not for Airtable I would have had to pursue a CRM system and an asset management system, plus some sort of task management system for multiple employees, and manage my budget in Excel which is a pain when it gets complex. 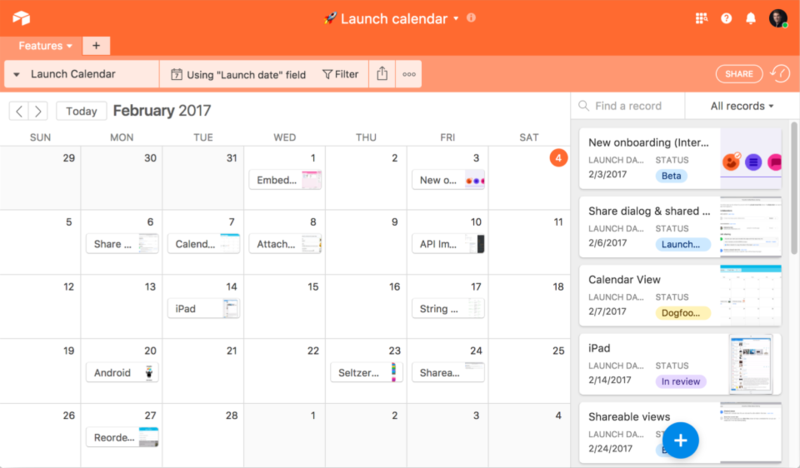 Airtable lets me put all this in one system, light weight, extremely powerful, and extremely efficient. Exactly what we needed. I am so happy this system exists. Airtable is free and you can get quite a bit in there and use it for a while before deciding to go to the paid version. Therefore the proof of concept was quite easy to bring it into our organization. We've been using it for a few months and it's made everyone's lives easier, so moving now to the paid version is a no-brainer. I didn't have to ask everyone to take a big leap of faith in the beginning and there was no big up front resource investment either, at least relative to setting up any other software or even complex Excel workbooks. Several people in our organization have commented that this system has made their lives far easier, because we can now keep track of our tasks and our events. Our key people are both saner and more efficient. The paid version of Airtable is DIRT CHEAP in comparison to the systems it stands in for. I cannot emphasize this enough. I don't have exact numbers since I am not in charge of specific numbers like that, however, I do believe that our increased team performance has to have a positive impact on our ability to increase out earnings.